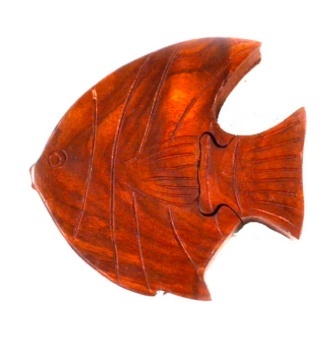 Detailed hand carved wooden puzzle in the shape of a fish. Made with Sheesham wood - which is wood sourced from sustainable, government man- aged plantations. 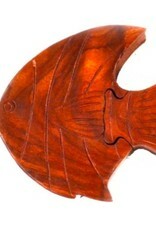 Measures 4.75 inches x 4.5 inches x 2 inches.